[By Nick] Halloween is over so it's time to switch from pumpkin overload to mint overload! Let's start things off with a pint I grabbed at the Niskayuna Co-op. 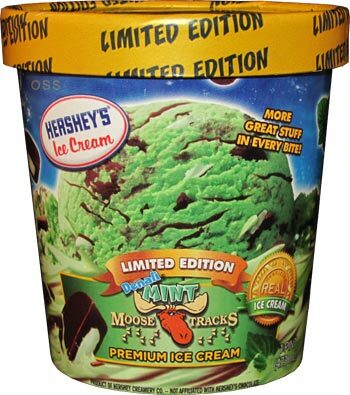 Just want to do a quick shout out to the Moose Tracks company as a whole. If you haven't seen yet, they've now expanded their line of products offering a bunch of new ice cream and non-ice cream products. From snack mixes to flavored milks, they're reproducing like bunnies...very large, moose sized bunnies. While I've yet to find any of these new products, if you have and tried them, be sure to let us know what you think. Okay, back to the pint! Removing the lid, it looks as expected. Digging down makes for a much more enticing view. I mean just look at the thick fudge swirl! 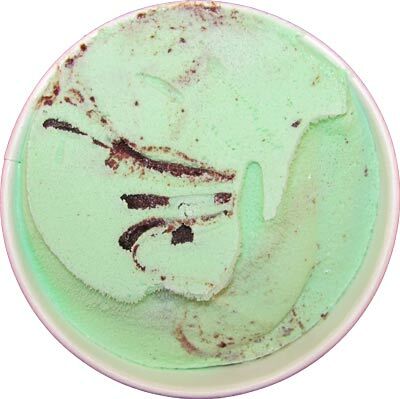 The mint ice cream is on par with most widely produced bases. It's the mint flavor you've come to know. There aren't any toothpaste like qualities which is always a plus. All around, it's a solid mint base. The mix-ins are what bring this one up a notch. Okay, I should say mix-in because my pint literally had one mint cup. I'm okay with that though because there was plenty of Moose Tracks fudge to go around. This stuff never gets old to me. It's always delicious no matter which brand is producing it. 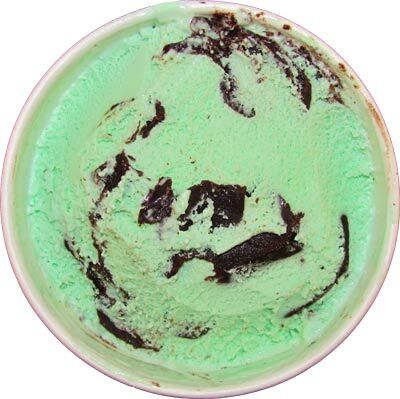 The glory of the fudge swirl is something everyone must experience at least once in their life. It's just that good. Coupled with the mint base, this makes for one of the better mint chocolate flavors on the market. I know I'd go for this one over any mint chip ice cream everyday of the week, even with the lack of mint cups my pint experience. Good job, Hershey's! 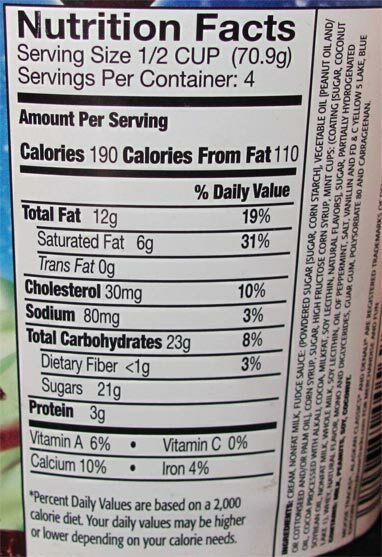 Now get to work on producing the new Peppermint Bark Moose Tracks will be offering to companies! Verdict? Who needs cups when you have so much fudge?